36 long stem roses, water tubes, boxed with ferns and baby’s breath. Place you order in advance online, by phone or by coming in our store. You Pre order Pre Pay, and you are on your way! When you arrive at Bucks County Roses, stay in your car. Follow the Drive-Thru makers, directing you to the special lane, on the right of the building. Give the attendant your name at the Drive-Thru station. 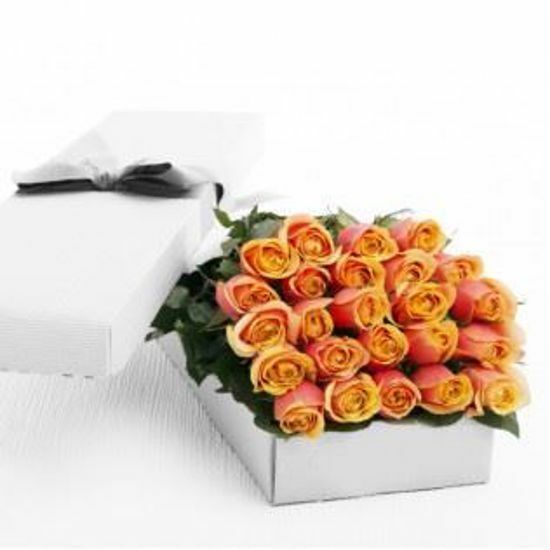 Within moments your roses, water tubed for freshness, boxed with greens and baby’s breath, in our attractive gloss white package or a beautiful arrangement will be brought to YOU. Along with a blank card Valentine, upon which you can express your own personal sentiments. As simple as that you’re on your way! Copyright © 2019 Bucks County Roses. All rights reserved.